How to accessing value from array? How to accessing value from array using index position? How to accessing value from array using for loop? After storing values into the array, you need to access the values from array and require some operation on value. As storing value in array is very simple, the accessing value from array is also so simple. You can access array’s value by its index position. 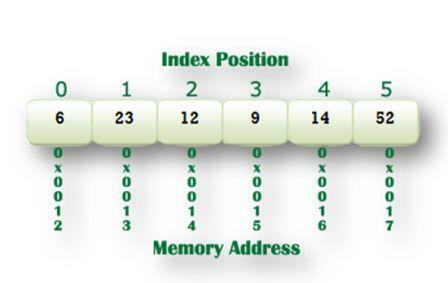 Each index position in array refers to a memory address in which your values are saved. num1 = 23 * 9; Becaue, arr refers to the value 23 and arr refers to the value 9. If you are required to access entire value of an array one after another, then you can use loop constructs to iterate through array. // Storing users name and age in two different array. //Accepting name and find their correspondence age in array. In the preceding program, we create two different types of array. One is integer type array which holds integer value and another one is string type array that holds string value. Then, we stored name and age in both array and then accept a string value from user to find their corresponding age. 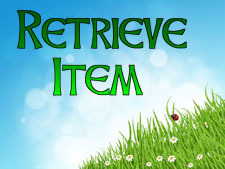 We store user input in a find variable. Then, using for loop, we check each index position of name array and compare them with find variable. If they match, the program shows up their name along with age, if they didn’t find any value then shows Not Found!!! message to the user. In this chapter you learned how to access value from array using index position as well as loop constructs. In next chapter you will learn about one dimensional array in C#.